Let’s be frank. 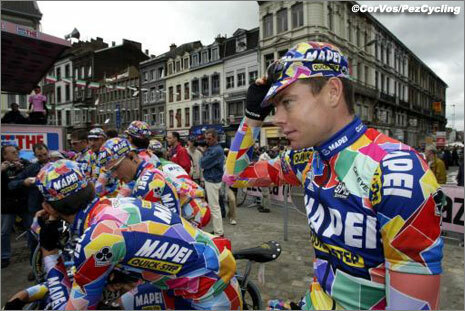 For some reason, there are is a lot of ugly cycling clothing out there. Interestingly though, while we can all agree that a great deal of ugly cycling clothing exists, it is much harder to come to a consensus on what is ugly and what isn’t. For example, ask greazypanda his opinion on “team x’s kit” and be prepared for a lengthy rant. However, ask another cyclist about the same kit, and you will hear the complete opposite opinion. Therefore, all we can safely conclude is that it’s tricky to put together a team look that is appealing, catchy, and unique, while also providing any team sponsors appropriate advertising space. 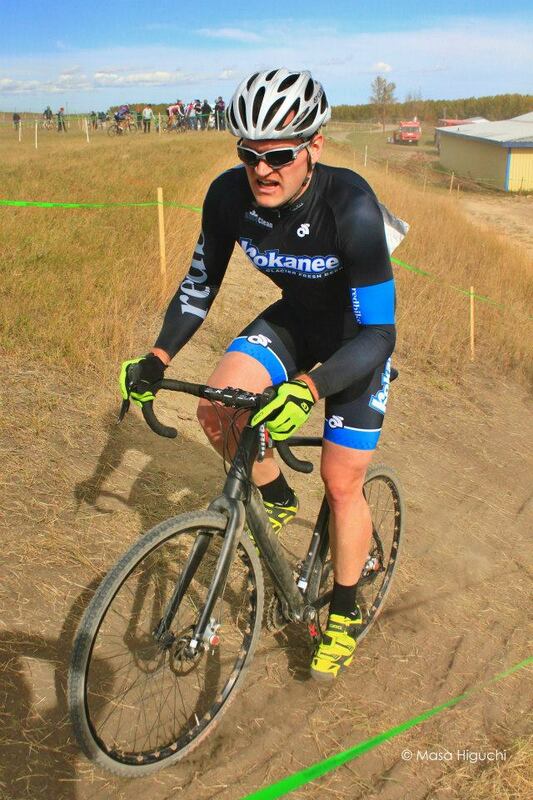 Our Kokanee Redbike team, in my personal opinion, has an exceptional looking kit that achieves this blend of requirements nicely. Made by Champion System, our shorts and jerseys have a great fit and are comfortable for those long days in the saddle. The colours have been carefully chosen and paired well – no garish or unflattering combinations – and our sponsors are well advertised on our kit. Sticking with a tasteful combo of blue, black, grey, and a bit of white also makes it easy to match all our other equipment with our kit, which is really what we’re being judged on at the start line. To really top out and polish our team look, we are lucky to have Giro on board again this season as a sponsor for all our other essential wardrobe components. I feel very lucky to have Giro as a supporting sponsor, especially since their full range of cycling wear is stylish, fits amazing well, and is durable. It’s not often that a company’s full line of products works; often you find that while a company’s helmets may fit great, their shoes or gloves don’t work so well. This is certainly not the case with Giro; their gloves, helmets, shoes, and socks are all solid items for whatever type of cycling you’re into. In particular this year, we’ll be sporting the new Giro Synthe helmet and the Giro VR90 shoes, both in colour schemes to match our kits and to also add a little flair to our look. 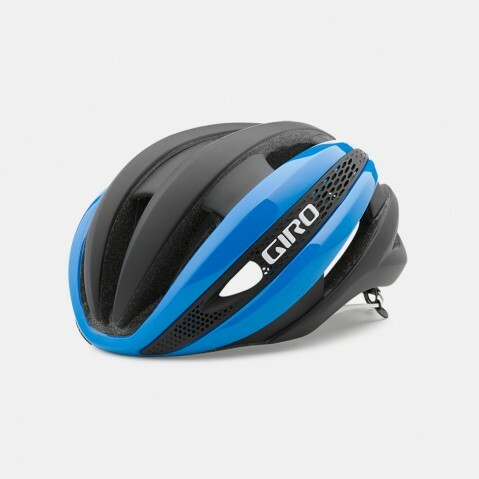 Up top, we will be protecting our noggins and greazypanda’s exceptionally well-maintained haircut with the matte black-blue Synthe, a lightweight racing helmet that is also designed with aerodynamics in mind. 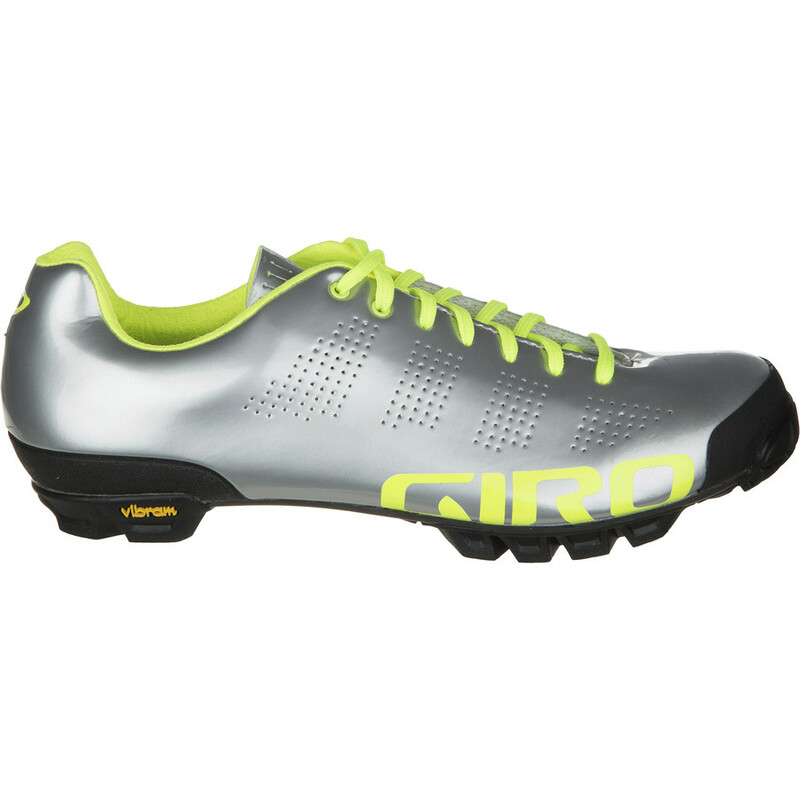 Down low, our feet will be looking extra flashy this season with the silver/yellow VR90 lace-up mountain bike shoes. I’m eager to try out a lace-up shoe this season, which proponents claim offers a more precise fit and eliminates the problems of Velcro strips and buckles that wear out quickly. The soles on the VR90 also promise to be significantly grippier than our previous team shoes – the Vibram sole should provide some much needed stability when it comes time to clamber by foot over loose or wet un-rideable sections of trail. This entry was posted in bicycles, racing and tagged gear, giro, kits, Kokanee Redbike, mountain biking, redbike. Bookmark the permalink.